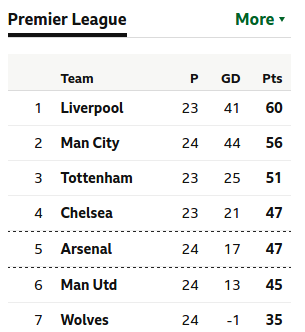 If you look at the Premier League table this evening you will see that Liverpool sit proudly atop the football pyramid. No great surprise there, you may think. 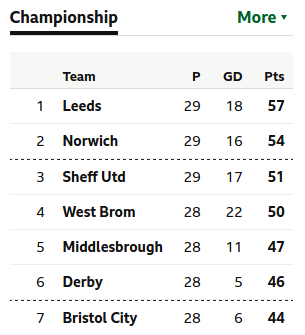 But then see who tops the Championship tonight: Leeds United. League One? Luton Town, and League Two? 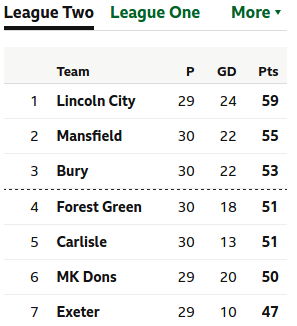 Yes, you’ve guessed it, Lincoln City. 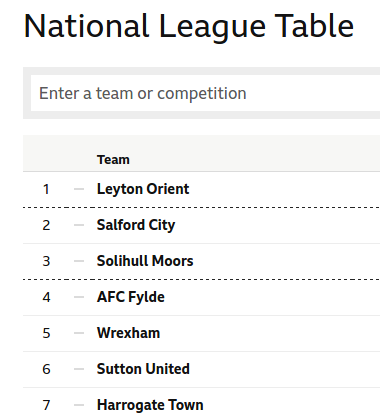 But gets even better – if we go down to the next tier, The National League, we find that Leyton Orient lead that divsion! What are the chances of that – having a team beginning with L at the of the top all first five leagues in English football? Less than one in three million, I reckon. I assumed each side had the same chance of topping their table. With two out of twenty teams in the Premier League beginning with L, the probability of one of those teams topping the table is 2/20, which simpilfies to 1/10. By no means a certainty, but not improbable, either. 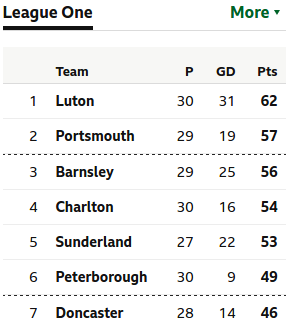 The Championship, League One, League Two and National League all have twenty four teams, with only one beginning with an L. So the probability is 1/24 that an L will top, say, the Championship. Not sure if its ever happened before, but take a moment to enjoy it whilst it lasts – not an everyday occurrence. I know who I’ll be supporting between now and the end of the season! This entry was posted in Probability and tagged football, probability, sport. Bookmark the permalink. Post a comment or leave a trackback: Trackback URL.